Many highway and rail signals now contain Light Emitting Diodes (LEDs). The switch to LEDs was made because of its energy efficiency. However, a one side-effect of this efficiency is that the LED lights don’t give off enough heat to melt snow or ice on their own. This can lead to the lights being obscured during winter conditions which can create potential safety hazards. In 2016, for example, there was a crash in Windsor, Ontario where a school bus entered an intersection against a red light and ran into a car. The bus driver did not see the red light-an LED, because the light was obscured by snow. Fortunately, there were no major injuries during that crash. Early this winter, the Minnesota DOT worked to clean off LED traffic signals after snow obscured signals in the Twin Cities area of the MN Highway 36, leading to at least one serious crash and many near misses. 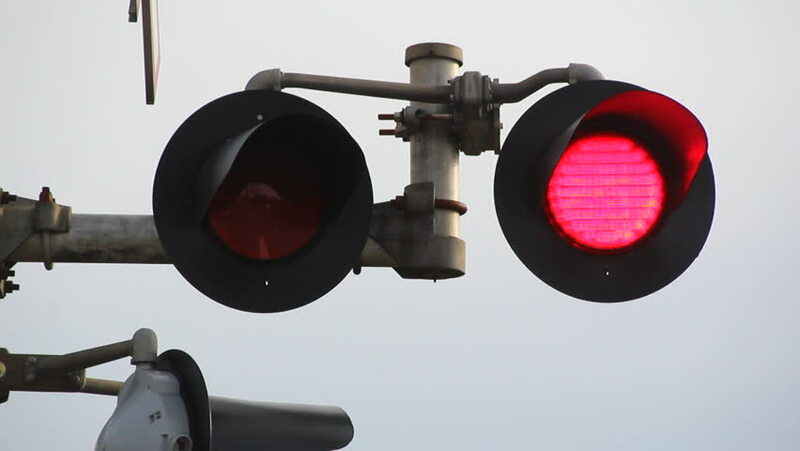 In 2014, the Federal Highway Administration (FHWA) released a report on LED traffic signal operations in snow conditions which suggested a number of proactive and reactive measures transportation departments can take to keep LED signal lights free from ice and snow. Reactive measures, employed after a snowfall, include manually cleaning the lights or spraying them with antifreeze, deicing spray or compressed air to clean them off. Each of these measures requires personnel to visit and work on each light. Proactive measures include installing signal lens heating elements or lens covers, or spraying deicing spray on the lights before it snows. As documented in the report, such proactive measures have had various degrees of success. Two current research studies are testing new proactive approaches, both of which involve redesigning the LEDs lights used in traffic signals. Researchers at the University of Kansas have developed and tested self-de-icing LED technology and are now working on creating a full prototype for field testing. . Their approach is to mount the LEDs in the traffic signals “backwards” to harvest the heat generated by the LEDs to heat the light lenses and keep them above freezing. With this system, no additional heating is needed to prevent ice and snow from collecting on the traffic lights. The researchers have estimated that replacing the current LED lights with new LEDs will save about $28 per signal light annually, with a payback time of 4.5 years. A second research study is looking at developing a super hydrophobic (anti-icing) surface coating for the lenses of traffic signals. The research is being conducted at the University of Nebraska, Lincoln, and is investigating femtosecond laser surface processing (FLSP) techniques for producing thin (nanoscale) anti-wetting surfaces on hard materials, such as tungsten carbide. Testing is being conducted find the best FLSP-functionalized hard material to use as a durable stamp for imprinting an anti-icing surface on the lenses of traffic signals. This study is scheduled to be completed later this year. Previous AASHTO’s National Cooperative Highway Research Program Problem Statements…2018!